Lisa Loeb is a singer/songwriter, producer, touring artist, actor, author and philanthropist who started her career with the platinum-selling number (or No.) 1 hit song, Stay (I Missed You) from the film Reality Bites, as well as two back-to-back albums that were certified GoldTails and Firecracker. A trailblazing independent artist, Lisa was the first musician to have a number (or No.) 1 single while not signed to a recording contract. She followed that remarkable feat with the hit singles, "Do You Sleep," "I Do" and "Let's Forget about It and the albums Cake and Pie, The Way It Really Is, and No Fairy Tale. A native of Dallas, Loeb earned a degree in comparative literature from Brown University, where she experienced her first taste of real musical success with the duo Liz and Lisa (with Elizabeth Mitchell). The pair built a substantial following on campus and often booked shows in New York on the weekends. Fellow singer-songwriter Duncan Sheik also played in the band during Loebs final year of college. When Loeb moved to New York City after graduation, she continued to develop her vision, this time as a solo artist, and hone her artistic talents while carefully managing the business side of her career. This led to Reality Bites and Stay in 1994, and the rest, as they say, is history. The fact that Stay became a number one single in 1994 and still resonates with people today is a testament to Loebs gift as a songwriter and storyteller. Lisa Loeb has successfully parlayed her talents into a multidimensional career encompassing music, film, television, voice-over work, and childrens recordings. Her acclaimed studio CDs include her major-label debut, the gold-selling Tails (Geffen, 1995), and its follow-up, the Grammy-nominated, gold-selling Firecracker (Geffen, 1997). In 2002, Loeb distributed the album Cake and Pie through Interscope Records, and the record was later re-released, complete with additional tracks, as Hello Lisa (Artemis, 2002). Lisa made her first childrens project reuniting with her college music partner Elizabeth Mitchell on the award-winning childrens CD and companion book, Catch the Moon in 2003 and released another solo album titled The Way It Really Is on Zo/Rounder Records in 2004. The Very Best of Lisa Loeb was released through Universal in 2006, and during that year, she captivated the hearts of a younger audience with three stellar childrens videos, Catch the Moon, Stop and Go, and Jenny Jenkins from Catch the Moon.\ In January 2008, Loeb released the long-awaited CD version of The Purple Tape, an acoustic guitar and vocals album from her early New York days, and in 2013 she released No Fairy Tale. In 2004, she released The Way it Really Is, in 2006 The Very Best of Lisa Loeb, and in January 2008, Loeb released the long-awaited CD version of Purple Tape, an acoustic guitar and vocals album from her early New York days.As someone who spent years performing in many plays and musicals growing up, Loebs foray into professional acting began in 1997 with cameos in television shows such as The Nanny and Cupid. She has since continued to add television credits to her ever-expanding repertoire, including appearances on The Drew Carey Show, The Chris Isaak Show, and Gossip Girl. In 2004, Loeb co-produced and starred in the first of two television series, Dweezil and Lisa, a weekly culinary adventure for Food Network. Her second show, Number 1 Single, appeared on E! Entertainment Television in 2006 and featured Loebs inspiring journey to find love. Loeb starred in her first feature film role, opposite Oscar-winning actor Geoffrey Rush, in the movie House on Haunted Hill in 1999. In 2011, she added Fright Night to her big-screen credentials, and she has appeared in the films Hot Tub Time Machine 2 and Nia Vardalos' film Helicopter Mom in 2014. She wrote the theme song, 321 Let Go for the movie. In 2017, she appears as a guest on televisions Teachers and Those Who Cant.In 2013, Loeb released another album, No Fairy Tale, co-produced with Chad Gilbert of New Found Glory, a post-punk band from Southern California. This poppy-punky-rock album is a collection of originals, including songs by alternative music icons Tegan and Sara.The acclaimed artist has also gained recognition for her voice-over talent by providing voices for several animated television shows and video games. In 2003, Loeb gave her voice to Spidermans gal pal Mary Jane in MTVs animated series, Spider-Man. She also served as the voice of Milli the Microphone on the animated Disney Junior show, Doc McStuffins in 2011 and is currently the voice of Princess Winger on the animated series Jake and the Never Land Pirates on Disney Junior as well as the voice of Groovopolis with Melody for the Amazon Original Kids series, Creative Galaxy. She also composes m music for Amazon Originals If You Give a Mouse a Cookie series.In 2008, Loeb took her talents to the nonprofit sector to launch The Camp Lisa Foundation to help raise funds to send kids to camp. She enlisted her musician pals such as Kay Hanley, Jill Sobule, and Nina Gordon and funnyman Steve Martin to record a companion CD, Camp Lisa, and released it via partnership with Barnes and Noble, with all the proceeds going to charity. Continuing her passion for childrens music, Loeb released her first childrens book with a companion CD, Lisa Loebs Silly Sing-Along: The Disappointing Pancake and Other Zany Songs, in October 2011. The CD includes four original silly songs plus six all-time kids favorites that showcase her wit, wacky humor, and creativity. Today, Loeb continues to grow as an artist and to push herself and her career forward with a creative zeal and an inner drive not often seen. 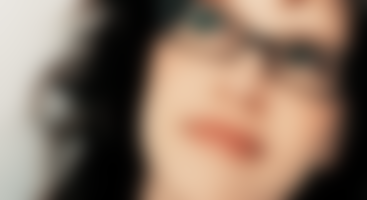 The mom of two designs an eyewear line, Lisa Loeb Eyewear, in partnership with Classique Eyewear. In 2017, five new styles for teens, tweens and petite women debuted. All are available at Costco.Sterling Publishing released her first illustrated kids book and CD, Lisa Loebs Silly Sing-Along, which includes her song, The Disappointing Pancake (also available as an app via Mibblio) Her second picture book with a companion CD, Lisa Loebs Songs for Movin and Shakin (2013), includes her hit songs Monster Stomp and Going Away." In October 2015, Loeb released a childrens album of songs and rhymes, Nursery Rhyme Parade!, available exclusively from Amazon Music with short videos for each song available on Amazon. Music videos from this release are now featured on a 30-minute special, streaming exclusively on Amazon Prime and Amazon Music Unlimited.On October 7, 2016, Lisa Loeb released her second Amazon Originals album, Feel What U Feel, with mostly original songs featuring guest artists Craig Robinson, Ed Helms and others. Lisa is excited to be working with Amazon Music again for the exclusive release of Feel What U Feel. As an independent artist, its wonderful to find new ways of sharing my music, and they reach an incredibly wide audience. As a parent, I love the convenience of selecting music from Amazon. The company offers fans easy and fun ways to discover and enjoy new music. A 30-minute video special featuring songs from Feel What U Feel will arrive in spring 2017.After releasing Champagne (Im Ready) for Amazons Indie for the Holidays playlist last November, Loeb is performing around the country and working in the studio again in 2016 with Rich Jacques, recording tracks for her next album for grownups.Forever the fearless performer, Loeb is constantly exploring her creativity and telling original stories, whether by writing a book, producing a TV show, or continuing to develop her acting career. Visit LisaLoeb.com for the latest updates.